F.R.O.G. Pose is a yoga and movement studio that incorporates the teachings of the Bible to individuals in the Boulder, CO community seeking fellowship and support from other like-minded individuals. Through group yoga classes and social activities F.R.O.G. Pose helps participants get closer to their faith in a non-judgmental and safe space, while building a supportive community of peers in their life. Revive, refresh, and re-group in the Rocky Mountains with a 3-day women's yoga retreat. 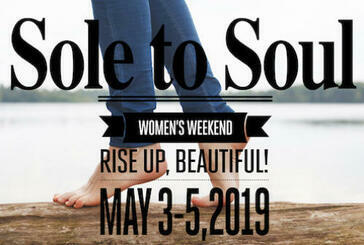 Immerse yourself in a weekend centered around Jesus, friends, and whole health of body, mind, and spirit. Learn more and register by clicking the button below. •We believe in the one true God of the Bible. •We believe our body is our temple of worship. •We believe in a donation-only yoga and movement studio environment that welcomes all people – planting seeds of faith. •We believe lives are changed and students come to know Jesus Christ in a safe and loving community, by creating fellowship. •We believe there's strength in love. ​anywhere else you give, at ​EIN #82-2579520. You realize, don't you, that you are the temple of God, and God himself is present in you? No one will get by with vandalizing God's temple, you can be sure of that. God's temple is sacred - and you, remember, are the temple.